Due to constant interaction with humans on Fraser Island over many decades, they have become relatively fearless and at times aggressive. 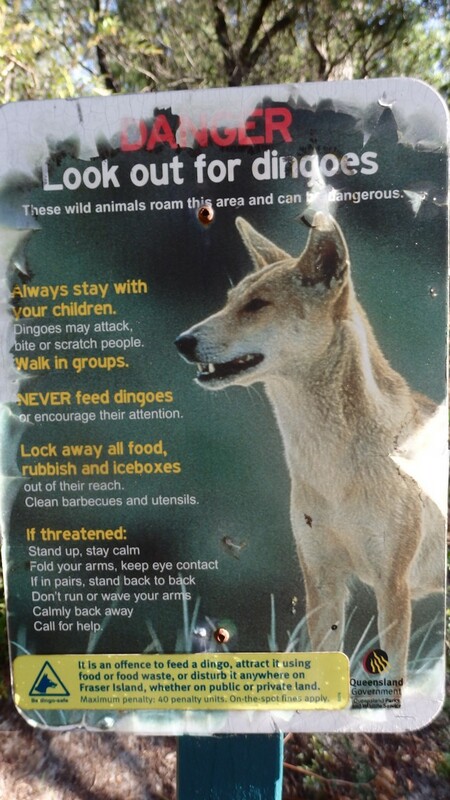 So whether it be on the National Park website when you book your campsites, or numerous warning signs all over the island, you will constantly be reminded to be dingo-safe!. 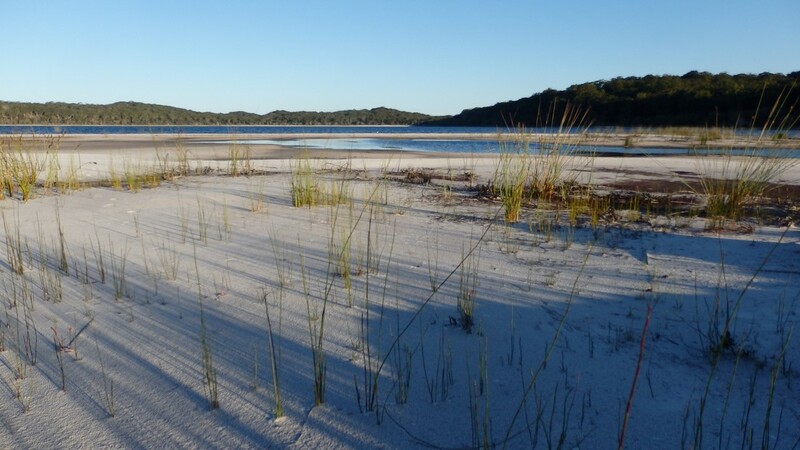 Fraser Island is very popular and first time arrivals soon discover why. 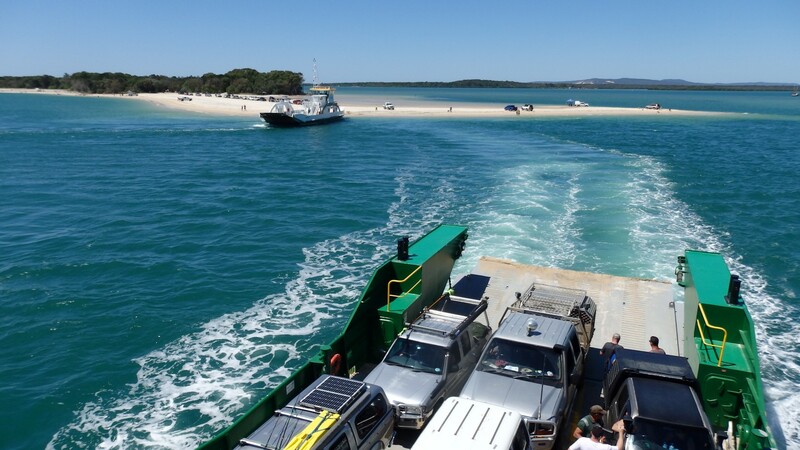 Our arrival at Inskip Point to catch the barge, on the Saturday morning of a long weekend that promised perfect weather; further reinforced its popularity. A queue of 4wd’s lining up for the barge, stretched as far as the eye can see. Fortunately we were able to walk past the idle line-up and straight onto the next barge for the short trip across to the island. Soon after disembarking from the barge, our pre-arranged 4wd taxi arrives to take our crew of eight. The 60 km drive to Happy Valley along the wide beautiful beach that buffers Fraser Island’s eastern shoreline from the pounding surf is a brilliant drive and beats walking! The small village of Happy Valley marks the end (or for us, the start) of the Fraser Island Great Walk. 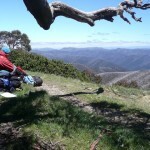 With packs heavy and an early afternoon start, we’re grateful for the short 7 km walk to Lake Garawongera. 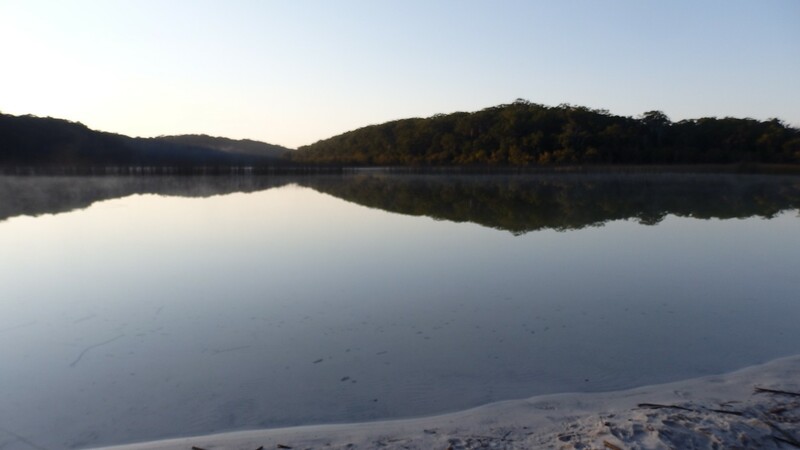 The lake – complete with a small sandy beach and crystal clear water – is the perfect place for a swim and is off the radar for the majority of the 4wd fraternity. 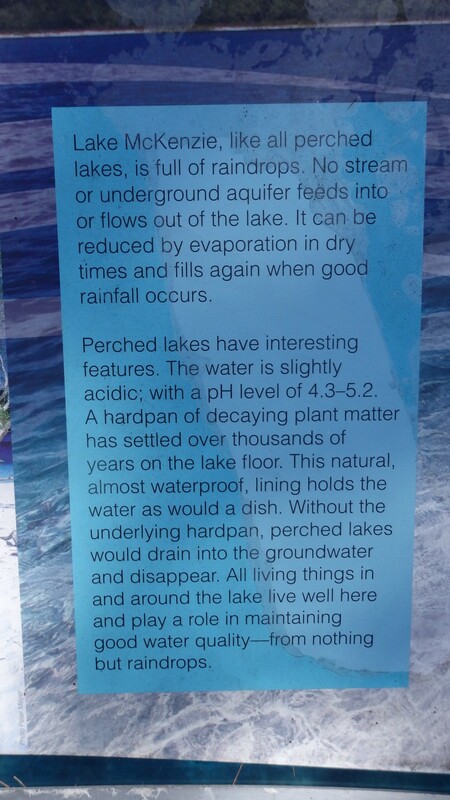 The Lake Garawongera walker’s camp (as with all the walker’s camps) has metal dingo-safe storage lockers to store food etc along with the obligatory warning signs advising people to be dingo safe! With each trip to the lake or toilet block, I carried a walking pole ready to defend myself from the imminent and inevitable attack….which didn’t happen….this time! 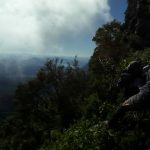 This section of the trail takes the walker through open forest and heathland, passing through stands of piccabeen palms and eventually our first glimpse of the impressive rainforest environment that flourishes on the Island. Nearing the Valley of the Giants walkers camp, as the name suggests, the trees become noticeably larger. 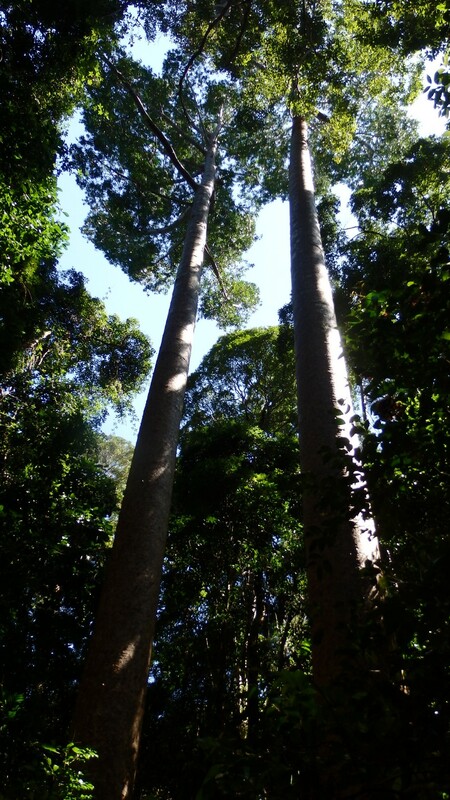 With impressively straight and tall trunks, these living giants dominate the landscape, towering over the campsite. 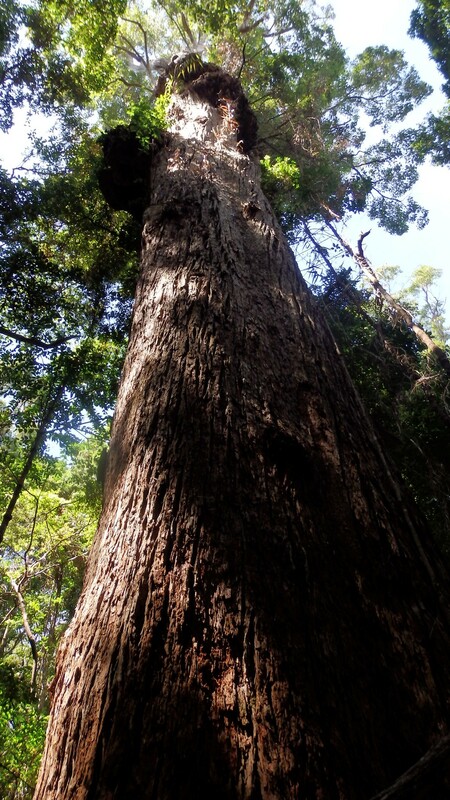 A short walk from the camp leads to the ‘Giant Tallowwood’, the largest known specimen on the island. The metal storage lockers dotted around the campsite are also advisable for keeping food away from hungry native rats. We come across one such individual just before dusk, whose movements were very sluggish (possibly a victim of ticks? ); very different to the others we see later on the walk that are just a blur as they dart around the campsites. 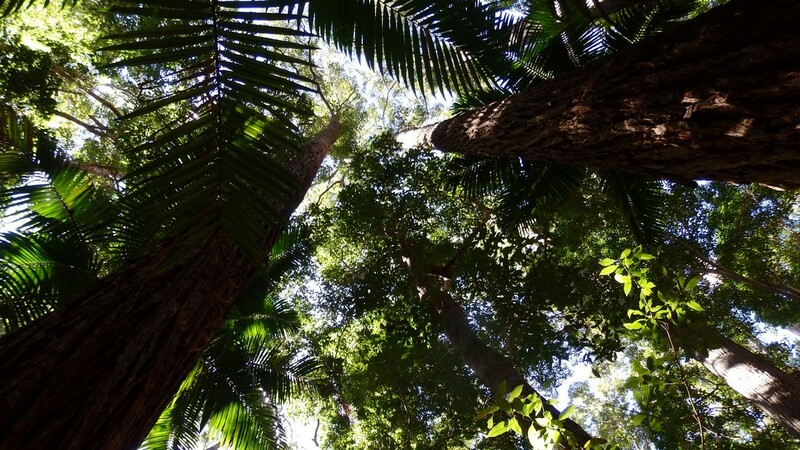 Leaving the tall timber of the Valley of the Giants, we embark on what is the longest section on the Fraser Island Great Walk. 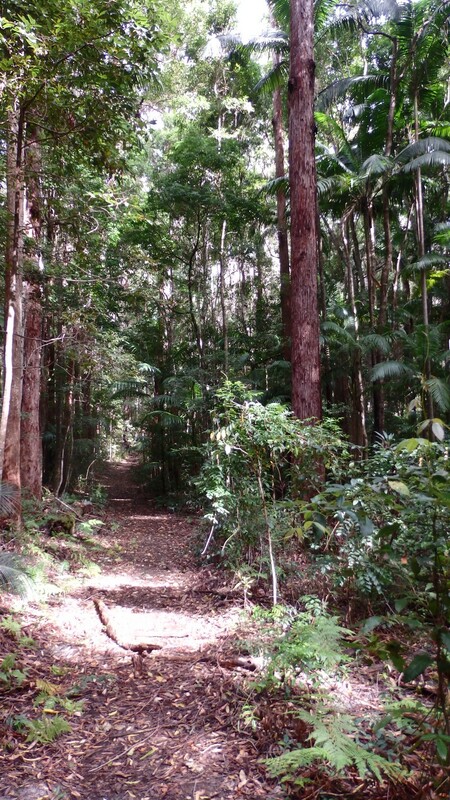 This part of the walk is more open forest type vegetation; although early on in the walk there is a beautiful section of rainforest, where one can only be in awe of the trees that reside here. 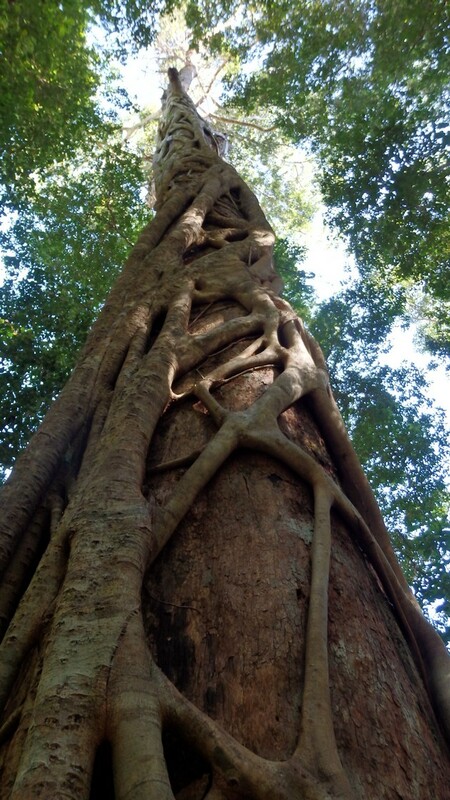 The rainforest and the huge trees that are found on Fraser Island are quite unique in the world. 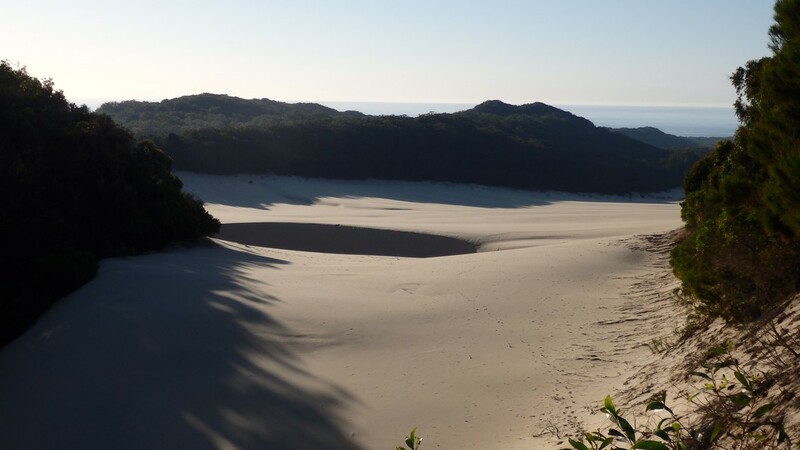 The Fraser Island Great Walk map states “The Great Sandy region is the only place in the world where rainforest grows in sand at elevations of up to 240 metres…..and some of the oldest and tallest dunes in the world”. 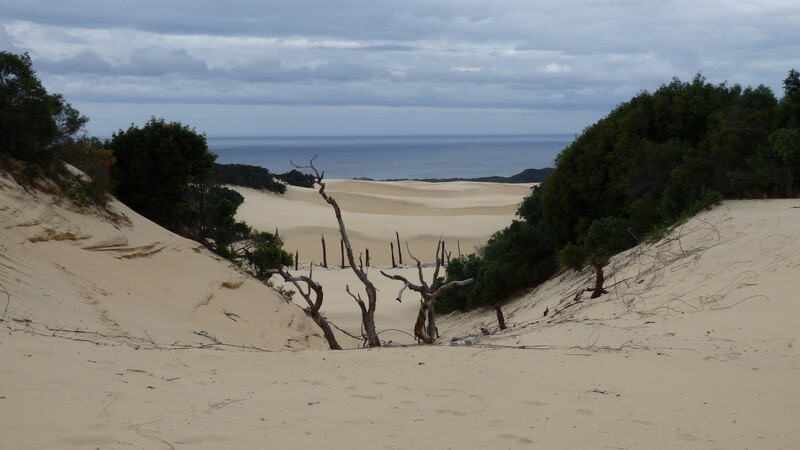 Along this section of the walk, there is a small diversion to the Badjala Sandblow. The leg busting scramble up the side of the dune is well worth the effort. 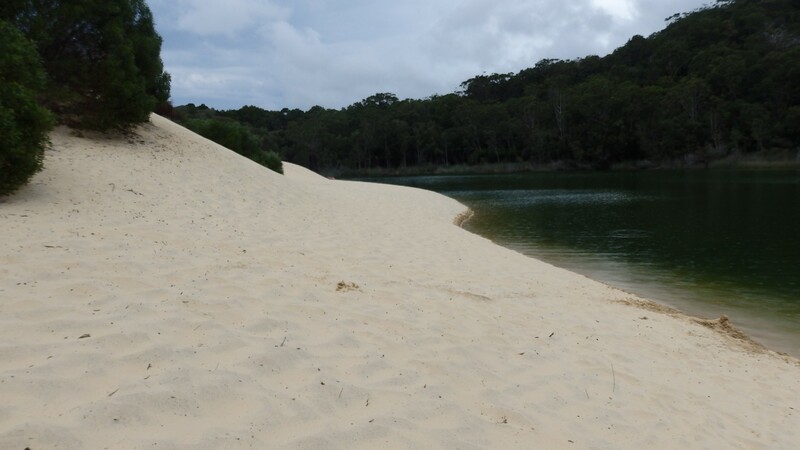 Cresting the top of the dune is one of the best vantage points of the Fraser Island Great Walk. Desert-like sandblows and sand dunes stretch out to the brilliant views of the ocean and humpbacks splashing as they make their return journey to southern waters. Reaching Lake Wabby, we decide to set up camp first before returning to the Lake for a welcome swim. 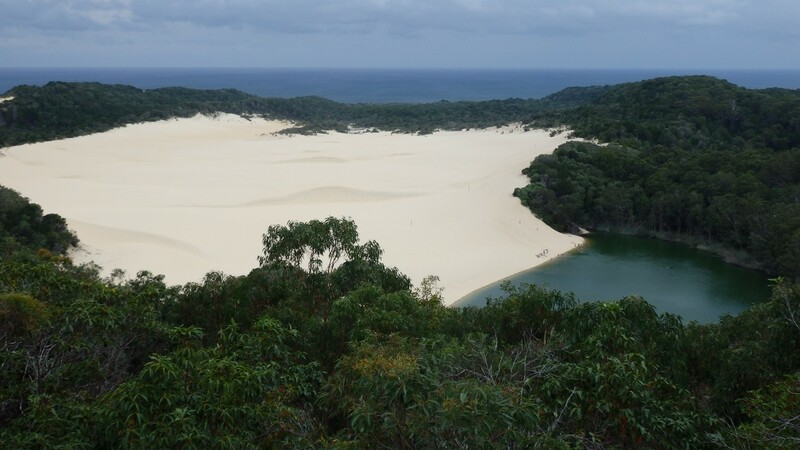 A lookout offers excellent views of Lake Wabby and the encroaching Hammerstone Sandblow, which is actually slowly filling Fraser Island’s deepest Lake with sand. 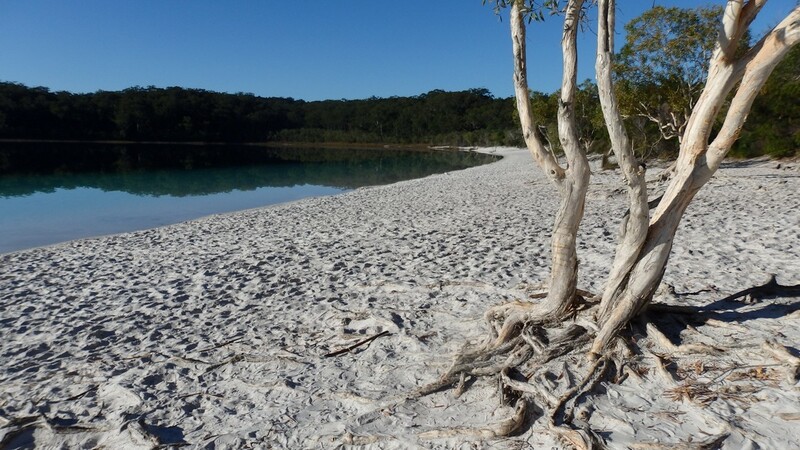 Lake Wabby is a popular location for Fraser Island visitors and swimming in the beautiful cool water alongside it’s wide steep sandy beach, it’s not hard to see why. View of Lake Wabby and the Hammerstone Sandblow from the lookout. 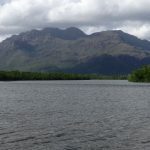 Today’s walk is a breeze – less than four hours walking, no steep hills to traverse, morning cloud to keep conditions cool, before arriving at a pristine lake and a 300 metre long beach with fine white sand on an afternoon bathed in brilliant sunshine. 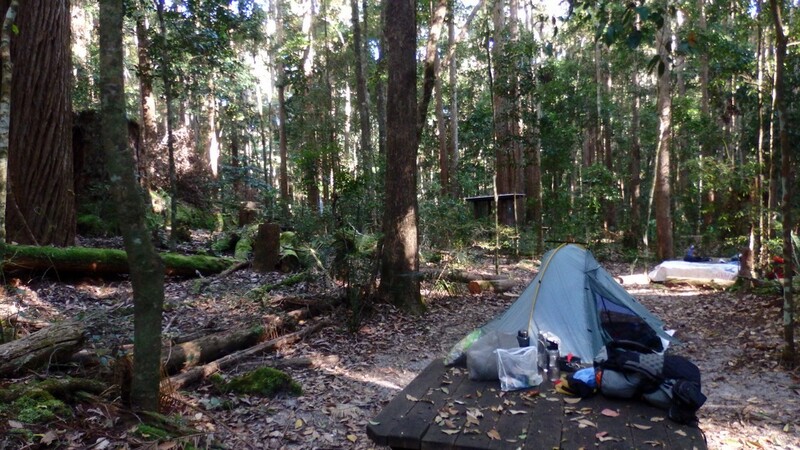 Furthermore – and unlike Lake Wabby the previous day – the campsite is adjacent to the lake. 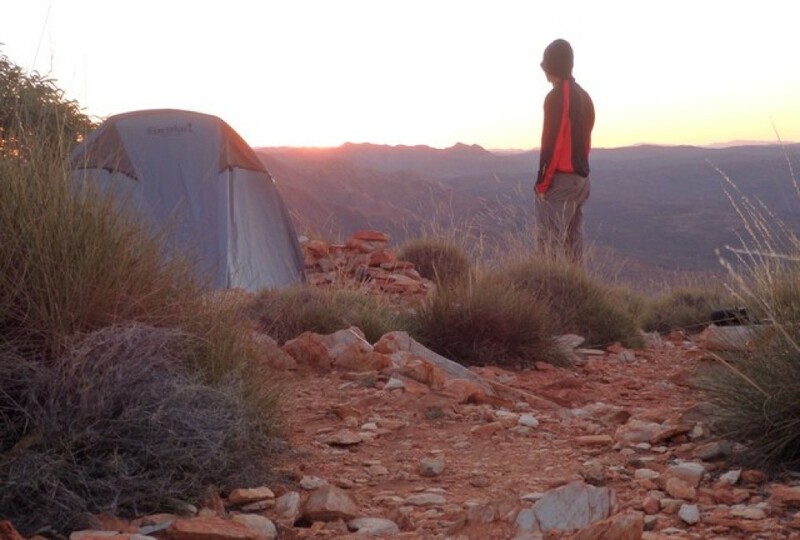 If every day on the trail was like this, we’d all be doing it! 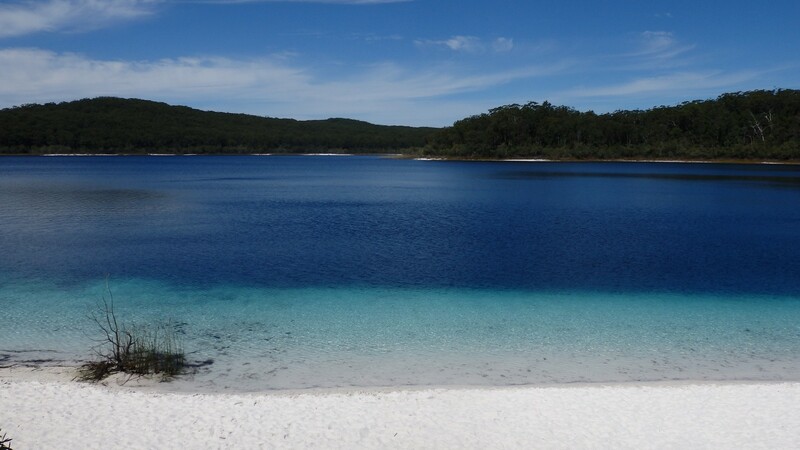 Lake McKenzie is another one of Fraser Island’s many perched lakes and it’s brilliant beach and deep clear turquoise waters ensures it is always front and centre of any Fraser Island marketing material. 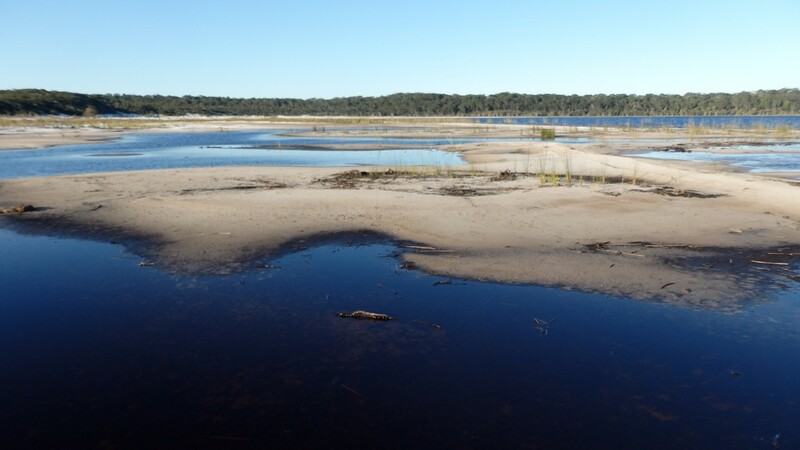 There are 40 perched lakes on Fraser Island, which is over half the known perched lakes in the world. 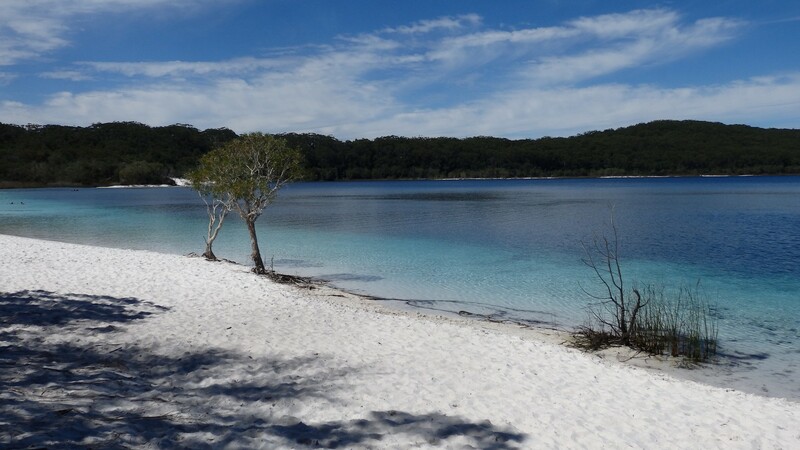 Swimming and soaking up the ‘beach’ atmosphere, it’s easy to see Lake McKenzie’s popularity….at times a little too popular. However walkers are the only people permitted to camp at the lake, so late afternoon, evening and early morning, the crowds move on, the birds move in and the lake returns to a time immortal. The walkers camp and picnic areas are all fenced, signs prohibit the taking of food to the lake beach area and dingo warning signs are everywhere. A more likely place for an encounter there has never been…the confrontation between man and beast is surely nigh! With the water surface like glass, not partaking in an early morning swim before the crowds arrive would be an opportunity wasted. Then breakfast and another swim for good measure, before a short walk to Central Station. Leaving Lake McKenzie, I glance back looking for watchful eyes in the surrounding bush, nothing…the game of cat and mouse goes on. Basin Lake is enroute to Central Station and whilst only a small lake, is an excellent swimming hole and both picturesque and quiet. 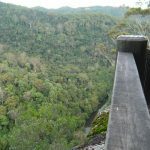 Heading down the valley to Central Station the trees become more imposing and the vegetation returns to lush rainforest before reaching Wanggoolba Creek. 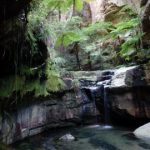 Marvelling at the crystal clear water that flows atop the Wanggoolba Creek’s sandy bottom as it weaves its way through the surrounding rainforest, is one of Central Station’s many drawcards. 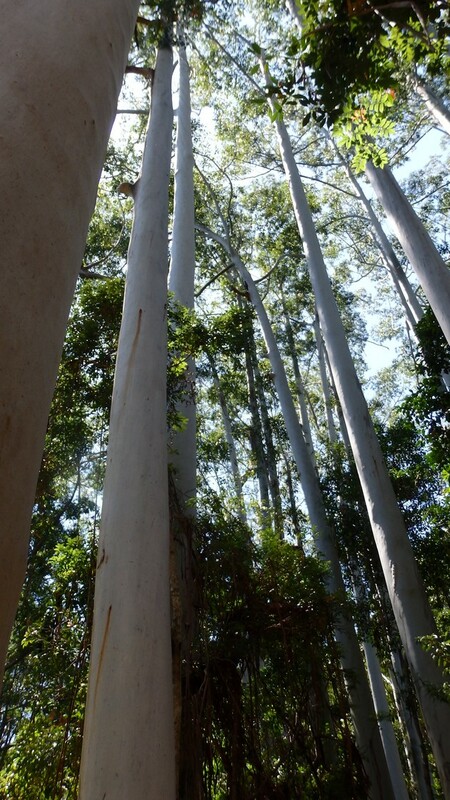 The short walk to Pile Valley to meander amongst the giant Satiney Trees was one of my highlights on the Fraser Island Great Walk. With incredibly straight trunks and reaching a height of forty metres, it’s easy to see why they were so sought after by loggers. Used not only for beautiful furniture, the timber was ideal for beams, decking and telegraph poles. After discovering the bark was resistant to marine borers the Satiney was also used for marine jetty piles. The large day use area at Central Station has several information boards on the fauna, flora and history of Fraser Island, including a video screen showing footage of dingo encounters on the Island….will I soon video my own encounter? The campground at Central Station is a huge fenced area encompassing both walkers and 4wd campers. It also comes complete with hot showers and rubbish skip bins…such luxuries! 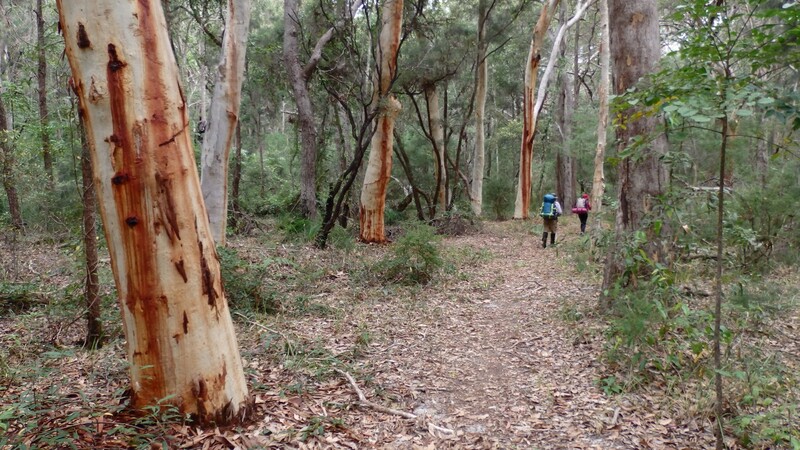 Leaving the hustle and bustle of Central Station behind, the trail climbs a long ridge before again descending and eventually skirting the shoreline of Lake Birrabeen and Lake Benaroon, where the vegetation morphes from rainforest to open woodland including melaleucas, brushbox and scribbly gum. Reaching the shore of Lake Boomanjin, your first impression is the lake’s size; with an area of approx 200 hectares, Lake Boomanjin is the world’s largest perched lake. The Tea Tree stained waters of Lake Boomanjin are a stark contrast to the clarity of Lake McKenzie and the shallow water makes swimming a less likely proposition, but the water is refreshing nonetheless. 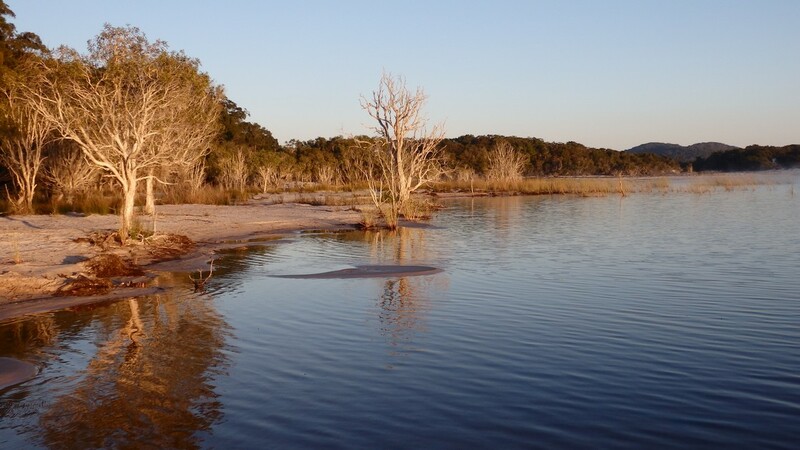 Late afternoon or early morning is an excellent time to observe the abundant birdlife and explore the lake’s huge shoreline and sand flats. From Lake Boomanjin it’s approx 6 km to the end of the trail, but along the way is the Wongi Sandblow. Well worth the short scramble to explore the sand expanse on the other side or just sit back on the sandblow crest and enjoy the views. View from atop the Wongi Sandblow. A boardwalk and large signboard immediately behind Dilli Village signifies the end of the Fraser Island Great Walk and a return to the ocean beach for the first time since commencing the walk. 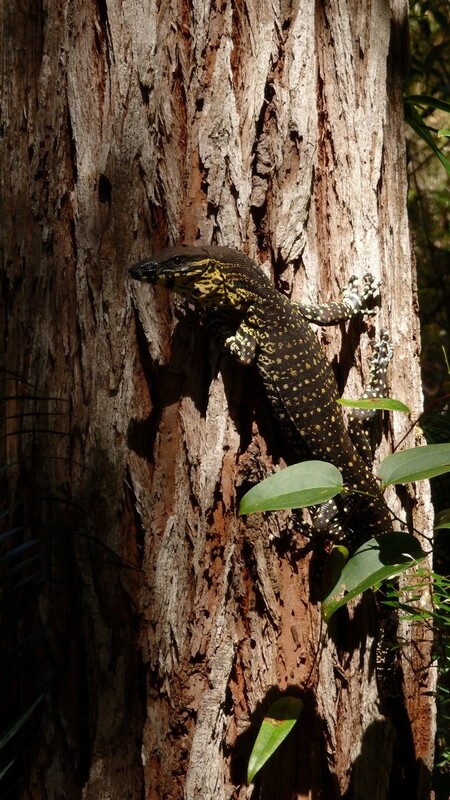 Fraser Island has a subtropical climate. 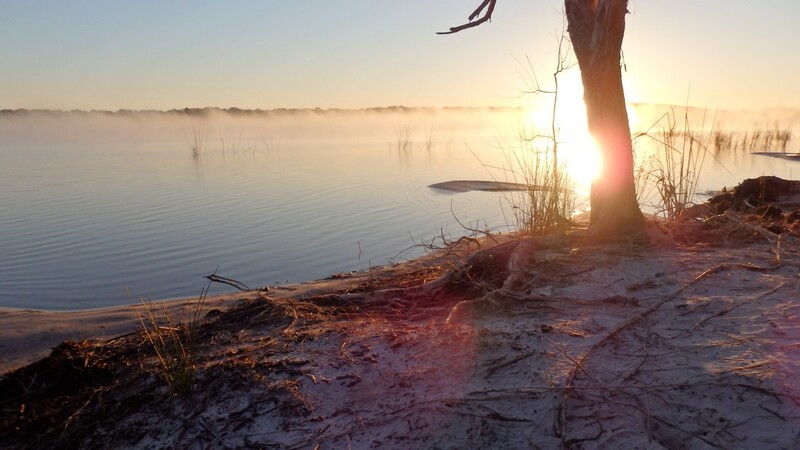 Summer can be very hot and whilst the numerous lakes on Fraser Island would provide welcome respite, walking may be quite uncomfortable and QPWS will often close the Great Walk or sections of it due to high fire danger. 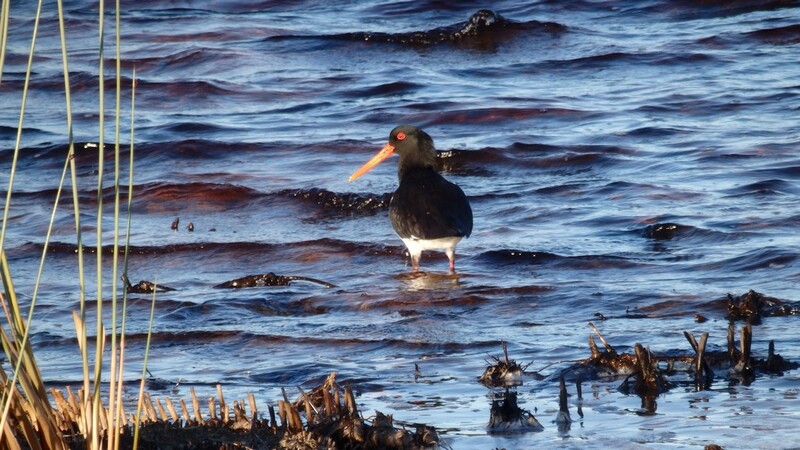 Winter months would provide pleasant days, however the lakes may be a little brisk for any swimming. Spring/Autumn provides the perfect balance between warm enough to swim, but still comfortable walking conditions. 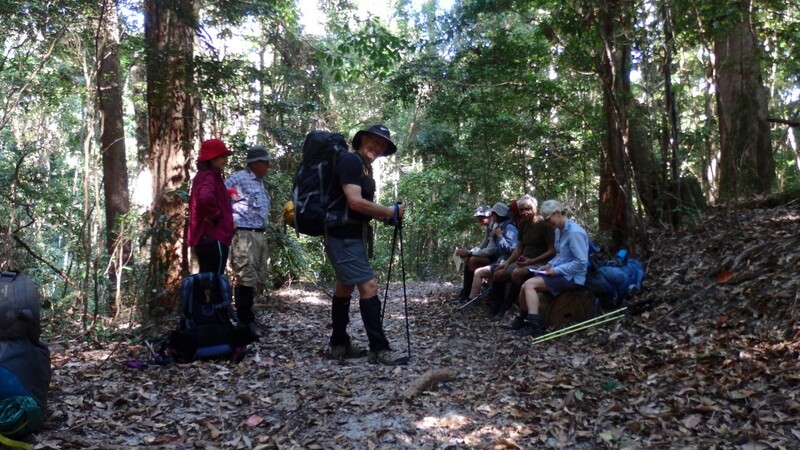 Queensland has numerous ‘Great Walks’ in its stable, and the Fraser Island Great Walk is one of the best. The combination of rainforest, giant timber, pristine lakes, sand and beach is unique and an experience not to be missed…just don’t expect to see the Fraser Island dingo! 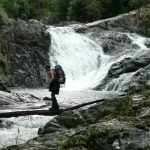 This entry was posted in Multi day hikes in Australia and New Zealand, Queensland Great Walks and tagged best bushwalks in queensland, Fraser Island, Fraser Island Great Walk, Fraser Island walks, hiking on Fraser Island, Queensland Great Walks, walks on Fraser Island by danthewanderer. Bookmark the permalink. 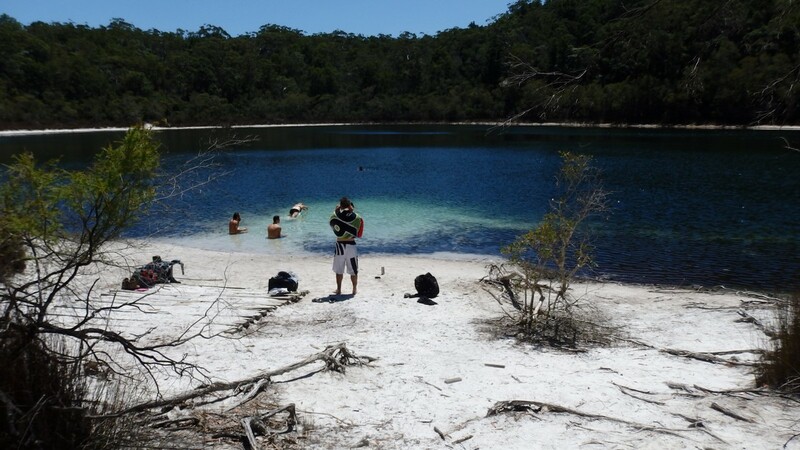 I am glad you enjoyed our Fraser Island and experienced the magic. It a long time since I visited FI and i did not walking there. Didnt realise/think there was a week long walk there. Looks great. Hi Donna, plenty of water was available at all the campsites, you should not have an issue unless there was a prolonged dry spell. Did you use a tour company or did you arrange on your own? I’d like do it independently but don’t see an easy/affordable way to get transport and and from the trailheads. Hi David, we did it ourselves, but you need to book the 4wd taxi well before you get on the mainland (phone reception is very poor on the island). I did a full track notes piece in Wild Magazine Issue 163(Jan-Feb 2018) which has all the details needed. Like any taxi though, whether it’s one person or four, you’ll probably pay the same price.